Until the late nineteenth century, Japan could boast of an elaborate cultural tradition surrounding the love and desire that men felt for other men. By the first years of the twentieth century, however, as heterosexuality became associated with an enlightened modernity, love between men was increasingly branded as ‘feudal’ or immature. The resulting rupture in what has been called the ‘male homosocial continuum’ constitutes one of the most significant markers of Japan’s entrance into modernity. And yet, just as early Japanese modernity often seemed haunted by remnants of the premodern past, the nation’s newly heteronormative culture was unable and perhaps unwilling to expunge completely the recent memory of a male homosocial past now read as perverse. 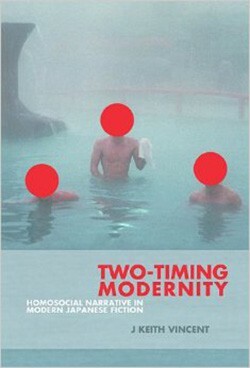 Two-Timing Modernity integrates queer, feminist, and narratological approaches to show how key works by Japanese male authors—Mori Ōgai, Natsume Sōseki, Hamao Shirō, and Mishima Yukio—encompassed both a straight future and a queer past by employing new narrative techniques to stage tensions between two forms of temporality: the forward-looking time of modernization and normative development, and the ‘perverse’ time of nostalgia, recursion, and repetition. J. Keith Vincent is Associate Professor of Japanese Comparative Literature, Boston University, and former Robert and Lisa Sainsbury Fellow (2001-02).